"We all thought we'd never see you again." Bleecker Street Films has unveiled the first official trailer for a romantic drama titled Disobedience, the latest film from Chilean director Sebastián Lelio, who also made the Oscar-nominated film A Fantastic Woman last year. This first premiered at the Toronto Film Festival, and will hit limited theaters this April. Disobedience stars Rachel Weisz and Rachel McAdams as forbidden Jewish lovers. Weisz plays Ronit, an Orthodox Jew who goes home to London, where she meets with a childhood friend and rediscovers her feelings for her. The cast includes Alessandro Nivola, Anton Lesser, Nicholas Woodeson, Cara Horgan, and Allan Corduner. This looks like it might be splendid. A woman (Rachel Weisz) returns to her Orthodox Jewish home after the death of her rabbi father and stirs up controversy when she shows an interest in an old childhood friend. 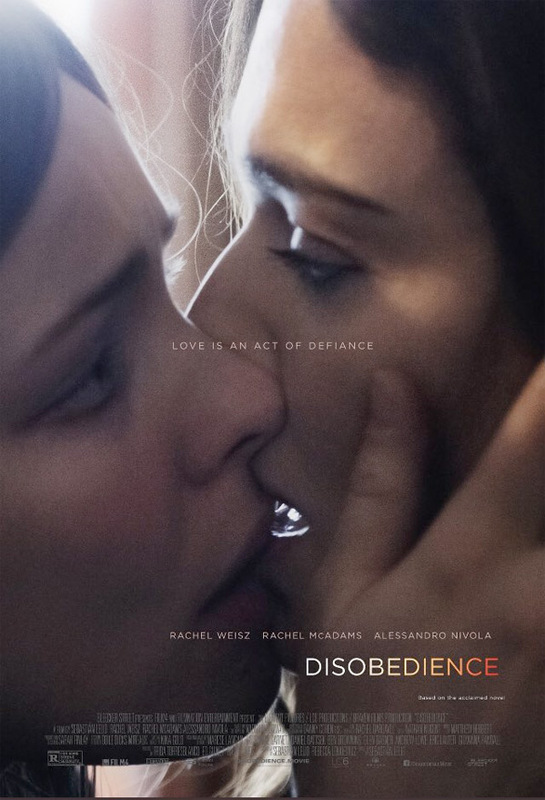 Disobedience is directed by acclaimed Chilean filmmaker Sebastián Lelio, of the films The Sacred Family, Christmas, The Year of the Tiger, and Gloria previously, plus Oscar-nominated A Fantastic Woman most recently. The screenplay is co-written by Sebastián Lelio and Rebecca Lenkiewicz, adapted from Naomi Alderman's novel of the same name, first published in 2006. This initially premiered at the Toronto Film Festival last fall. Bleecker Street Films will release Lelio's Disobedience in select theaters starting on April 27th this spring. Who's curious?